Pomegranate & Cranberry juice drink with botanical extracts, nutrients and 'Sucralose' sweetener. Best served chilled. Store below 25°C in a dry place out of direct sunlight. Contains natural plant extracts which may form a harmless sediment on standing. Consume as part of a varied and balanced diet and healthy lifestyle. 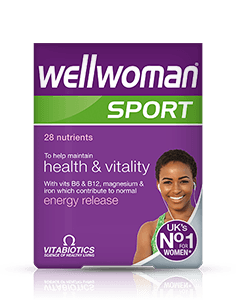 What is Wellwoman vitamin Drink? 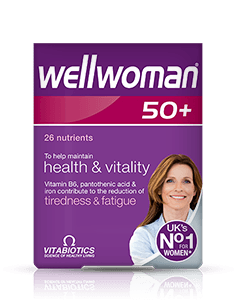 When is Wellwoman vitamin Drink recommended? 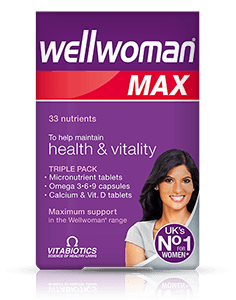 Are there any undesired effects when using Wellwoman vitamin Drink? Does Wellwoman vitamin Drink contain any sweeteners? As Wellwoman vitamin Drink is not carbonated, why is it in a can? 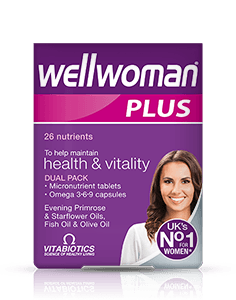 Is Wellwoman vitamin Drink suitable with any other Vitabiotics products? 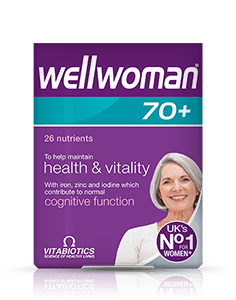 Wellwoman vitamin drink is a refreshing low calorie, still drink that contains a refreshing blend of pomegranate and cranberry juices, vitamins, minerals and active plant botanicals. 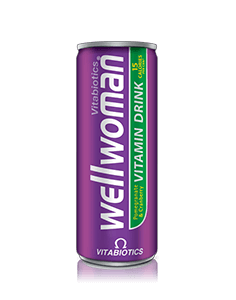 Wellwoman vitamin drink is free from artificial stimulants, so is a healthier alternative to high caffeine drinks. 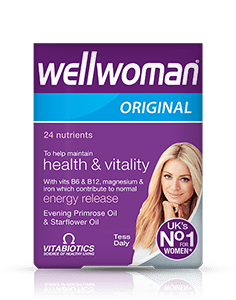 Wellwoman drink delivers nutrients including iron and vitamins B6 and B12 which contribute to the reduction of tiredness and fatigue and the normal function of the immune system. Wellwoman vitamin drink is recommended for women of all ages. There is no maximum time over which Wellwoman vitamin drink can be taken. 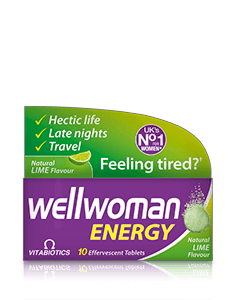 Wellwoman vitamin drink has no known side effects when used as directed. Wellwoman vitamin drink is a non-addictive formulation and is free from drugs and hormones. 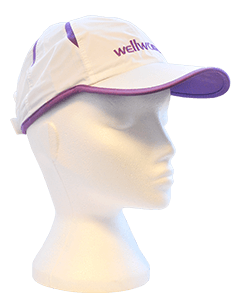 Wellwoman vitamin drink contains sucralose, a low calorie sweetener made from natural sugar. The drink has been put into a can to ensure maximum freshness and stability of its active nutrients. Plastic and glass containers would allow oxygen and light to affect the product. 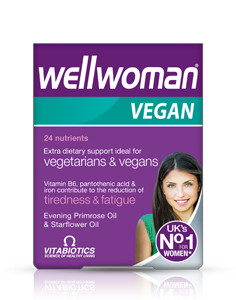 Wellwoman vitamin drink can be taken alongside any other product in the Wellwoman range. It is not a substitute for Wellwoman capsules or tablet.